 Knauf steel studs and tracks are easy to use and available in a wide variety of sizes. 2. Heights are as per AS1538. 0000 – 3000mm height = One row of Noggin Track required. 3000 – 6000mm height = Two rows of Noggin Track required. 6000 – 8300mm height = Three rows of Noggin Track required. 4. Double stud walls and single stud walls lined with plasterboard on one side only require an additional nogging installed 100mm below the top track/deflection head track. 5. Stud Walls as per AS4600 & AS1538- cold formed steel structures code. 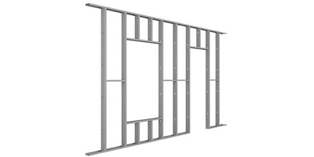 Once you have selected the appropriate stud size & gauge for your wall, you can select the matching Wall Track and/or Deflection Head Track if required. The gauge of the Wall Track and/or Deflection Head Tracks, should be the same or more than that of the Wall Studs. Installation of walls that do not require nogging. 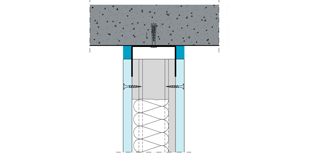 Wall Track is fixed to the floor and another Track or a Deflection Head Track is fixed to the supporting structure directly above. Insert the studs into the tracks at the required centres and rotate the stud into position. Check that the studs are set plumb and square when in position. Screw fix the first & last studs to the tracks. For walls to be sheeted one side only, fix the other studs to the tracks. For walls to be sheeted both sides, the rest of the studs are now friction fit, simple walls up to 4000mm high do not require fastening to the tracks, walls over 4000mm high should have the studs fixed to the bottom track, only fix the studs to the top track if Deflection Head Track is not being used. The frame is now ready for installation of Knauf insulation and Knauf plasterboard according to the chosen wall system. Refer to Knauf Plasterboard Installation Guide. *There are various ways to fix stud to track, these include crimping, riveting, screw fixing and welding. To ensure that the method that you are using is appropriate, seek advice from the fastener supplier or our Technical Team. 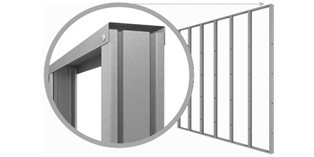 For detailed installation instructions, refer to the Knauf Metal Steel Wall Systems Manual.